Today, Friday, May 12th, NLand opened for the 2017 season. Whether you’re an expert, a passionate travel surfer or a curious new surfer, NLand Surf Park features waves for everyone. According to the team at TheInertia.com, “Austin just became a world class surfing destination”. “Spearheading innovative technology is not for the faint of heart,” said Doug Coors, NLand Surf Park Founder and CEO. “The response from the global surf community has been humbling and we are eager to showcase our updated lagoon and amenities for 2017.” NLand made surfing history in 2016 when it debuted the world’s largest surf park in Austin, Texas. NLand’s team is excited to show you the new and improved lagoon. The Reef Wave still commands center stage with barreling and open face sections during a 30-second ride. The Inside Wave is longer for 2017, offering a challenging point break where you can perform a variety of maneuvers. The Bay Wave offers an excellent place to enjoy a gentle, whitewater wave. An all-new addition for 2017: Boogie Bay, a dedicated area for boogie boarders to ride waves in the lagoon. NLand Surf Park’s team at Blue Prairie is excited to offer new, farm-fresh and creative meals to complement your surf session. The NLand Surf Shop is filled with new RVCA and NLand Surf Park branded apparel along with high-performance surfboards from Channel Islands, Lib Tech, Lost and Stewart Longboards. NLand’s offerings include a variety of different areas, separated by surfing experience level. The Bay Area of the Wavegarden Lagoon at NLand is designated for those learning to surf and novice riders, allocating for a flow of gentle, whitewater waves. The Inside Area of the Wavegarden Lagoon serves as the ultimate moderate playground, presenting knee-to-waist-high waves in addition to more challenging open-faced sections. The Reef Area is the most advanced zone, offering steep waves and up to 30-35 second rides. Truly a world class wave ride length by nearly any surfers standards on the planet. In addition, there is now a Boogie Bay Area that provides for standard water access and the option to purchase a Shore and Pier Pass for spectacular sightseeing without water access. 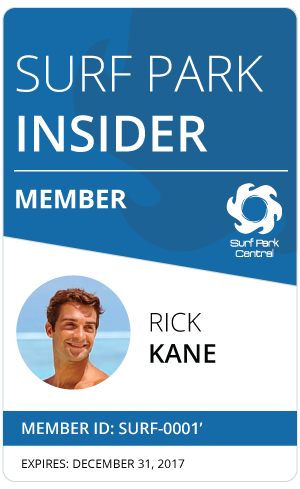 NLand Surf Park offers group and private surf coaching for adults and juniors alike, divided into varying levels. There is also a juice bar that has drinks, snacks, and NLand surf gear available for purchase. Passes are available for sale on the NLand Surf Park website. They run from $60 for an hour in the Bay Area, $72 for an hour on the Inside Wave, and $90 for an hour on the Reef Wave. Boogie Bay passes cost $50 and Shore and Pier passes cost $5. Whoa! Looks like a well thought out surfing park. The right looks fun. I’d ride it. We need one in Southern California out in the desert. It’d be perfect for spring and fall staycations or surf weekends or week long vacations.